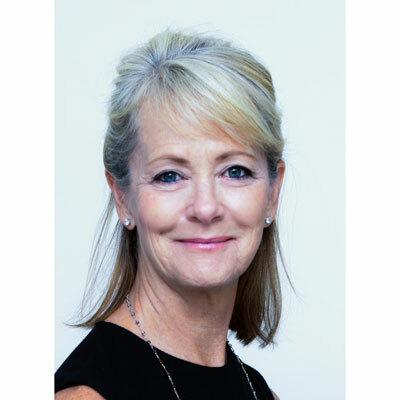 Vicki joined GBG Loqate in June of 2015 and is responsible for the Global Channel Strategy and Enablement. She is a senior channel sales executive with more than 20 years of experience in building channel sales programs, developing and leading sales teams and building impactful channel marketing programs. Vicki's strengths include exceptional communication, relationship building and presentation skills. Vicki has a strong background in recruitment and developing strategic partners at all levels of business. Vicki has an entrepreneurial spirit and a can do attitude that enables her to exceed targets and increase revenues and performance. Vicki has been instrumental in achieving our channel growth targets year over year. GBG Loqate is expanding our Connections Partner Program to align with our overall corporate goals. We added partner benefits to the program last year with the focus on developing our program to increase our channel revenue and providing the partners with the tools to be successful. We launched our new Partner portal and recruited partners in our top tier verticals. We also developed a RE-ENGAGE program to get existing partners active again which resulted in incremental pipeline and revenue. My goal for this year is to enable the partners for greater success and to ensure that our partner's goals are met. I am laser focused on expanding our partner community 'globally' by adding new partners and products to the portfolio. Honored to be named a Woman of the Channel- CRN - Two years: 2017 and 2016. I also have the honor of mentoring a younger woman that moved from writing business articles into the high tech sales arena...it is an honor and a privilege to see her excel in life and I'm proud to be a small part of her success. I continue to admire Sheryl Sandberg for her dedication to promoting and helping women in the workplace. She is admirable in times of diversity and continues to move forward in these times of #metoo by launching a new initiative; #MentorHer. I admire her as she is always offering solutions to the problems and thinks out of the box. Don't be afraid to ask for what you want and to take the lead. Spend a few hours each week learning something new. Look for ways to do things differently and better. Join networking groups and reach out to 3-5 connections each week. In other words: Keep learning! Negotiation Skills would be my top choice. It's a skill that can make or break a deal - and learning more about the give and take is key. The Presence Process by Michael Brown. In today's fast paced world, Michael provides a great understanding of being present and being responsible for navigating the quality of our personal experiences. He creates awareness that empowers the reader to respond consciously to every aspect of our busy lives.